The resilience of humans is inconceivable. How many times can our hearts be ripped out and broken apart before we stop being put back together. Somehow no matter what happens, time after time we are able to pick back up and keep going. It makes no sense. Last night I had a dream that I was terminal. I laid down in bed to take my pills so that I could die and Bill laid down next to me. I closed my eyes and I could hear my girls standing around talking and being upset and I tried to look at them but it was too late I couldn’t see them anymore I could only hear their sadness. I still can’t tell this dream out loud and it’s killing me to even write it. I don’t know what it means but I’ll be holding on to my family tighter today. 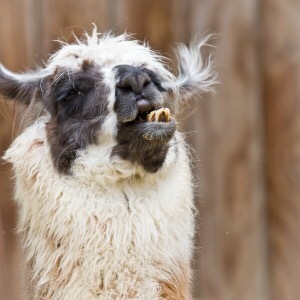 Now here’s an alpaca because I know they always make me feel better.